For my job, I occasionally need to create maps to illustrate some concept or another. 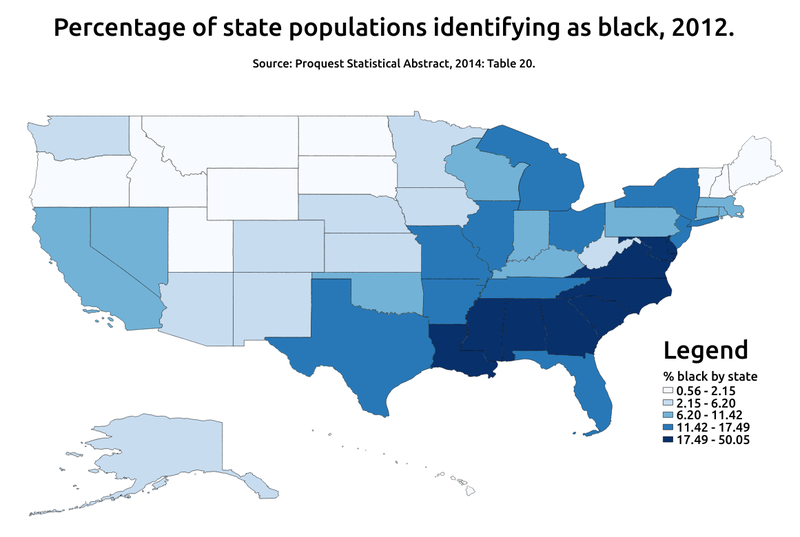 For instance, it can be useful to see a the racial makeup of the US as a map color-coded to reflect the percent of the population that identifies as black in each state. It provides a quick illustration of how people identifying as a certain race are distributed across the US. Back when I used Windows, I had a hard time finding simple software that would create maps like this, but it seemed like there were more or at least cheaper options with Windows. However, you can’t beat free, and that’s how much the software you’ll need for this tutorial costs! I’m going to do this tutorial in three parts: 1) Getting ready; (2) Creating your map; (3) Preparing your map for printing/export. To begin with, you’ll need some software. The software I’ll be using is called QGIS. 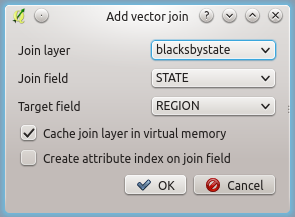 It’s free and is included in most Linux repositories (it’s included in the Ubuntu repositories; I run Kubuntu). That makes it easy to install, either from Synaptic or from the terminal (e.g., sudo apt-get install qgis python-qgis). 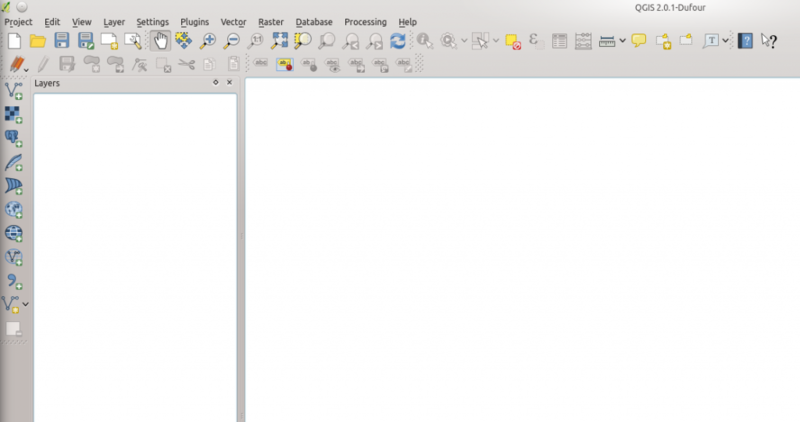 QGIS runs on Windows and Mac as well, so this tutorial will probably work for those OSes, too. 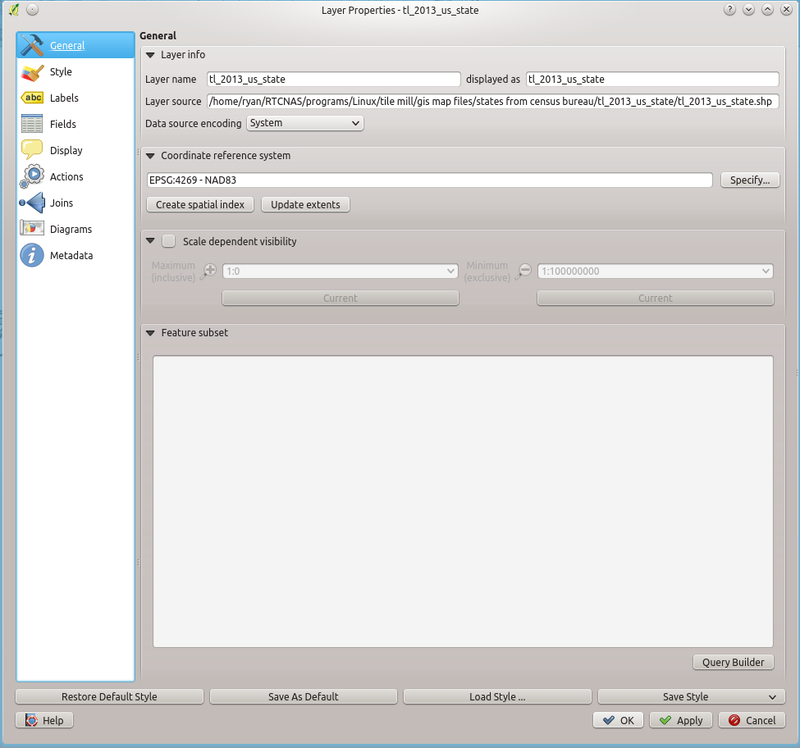 So, step 1 is to install QGIS. You’re also going to need some shape or map files. You can create your own, but you don’t want to do that as it takes forever and almost any common map you could want has already been created for you. There are two great places to download maps: For maps related to the US, try the U.S. Census Bureau’s Tiger files website. The shape file I’ll be using for this tutorial came from their website. For a broader array of maps, try NaturalEarthData, which has lots and lots of maps to choose from. Download the shapefile’s you think you’ll want, unzip them, and store them in a location where you can access them readily. 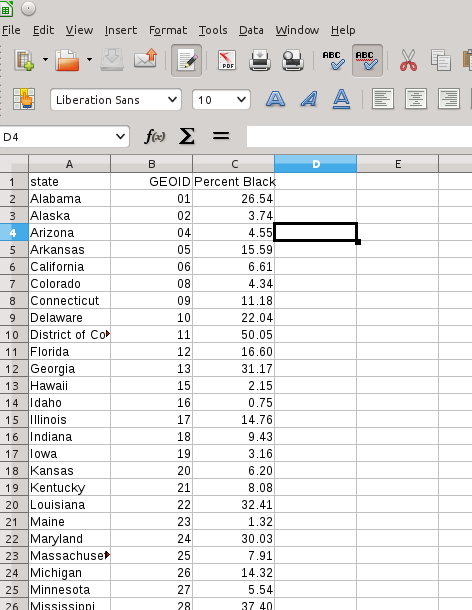 Finally, if you’re adding data to your map, you’ll need that data, ideally in a spreadsheet. There are lots of sources of data. I tend to use a lot from Statistical Abstracts, which is now run by Proquest since it was defunded by the Census Bureau. But you can use data from wherever. The key, however, is to make sure it’s cleanly entered into a spreadsheet. Once you have your software installed, you’ve download the necessary shape files, and you’ve got your data ready, it’s time to create your map. 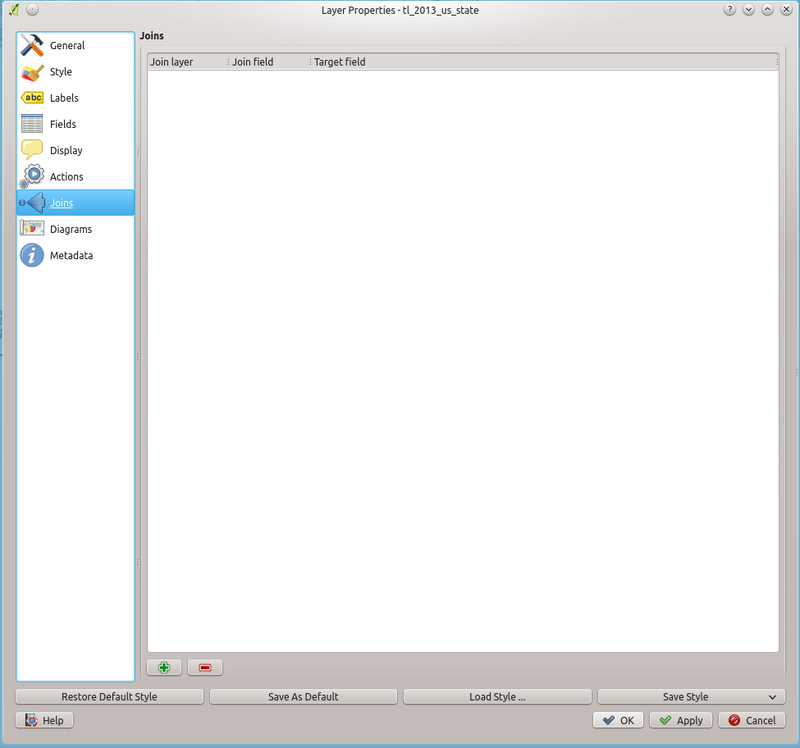 First, open QGIS. You’ll see a blank screen with lots of buttons and such. Lots to do here, but we’re going to keep this simple. 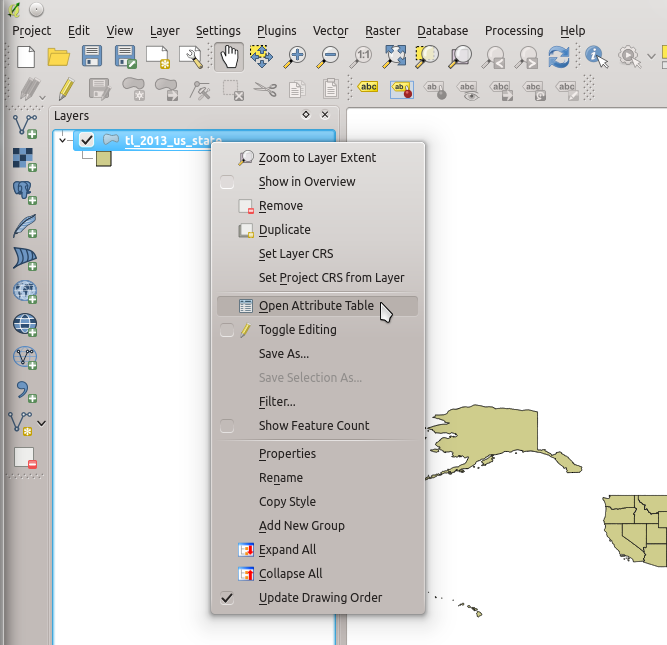 You should then see the map show up in QGIS. You’ll now seen a table with lots of information. 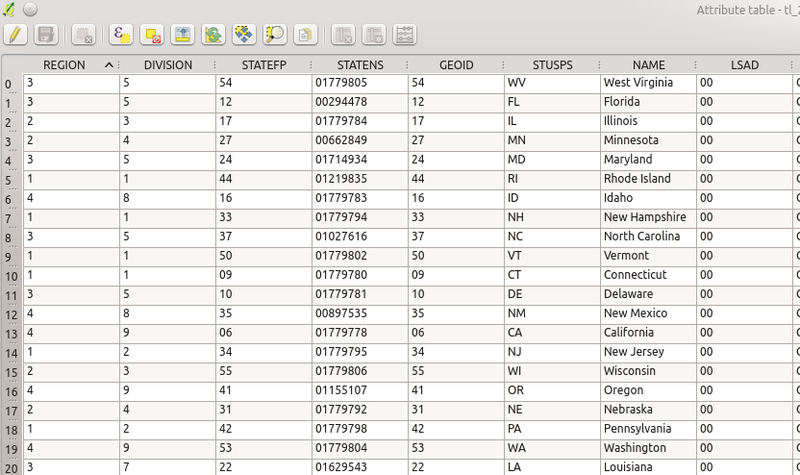 This table basically provides all the information to QGIS to tell it how to generate the map. You’re going to link your data to this table. What you need to find is a variable in the table (one of the columns) with information that you can use to link your data file with this table. You should probably use something like “GEOID” or “NAME”. 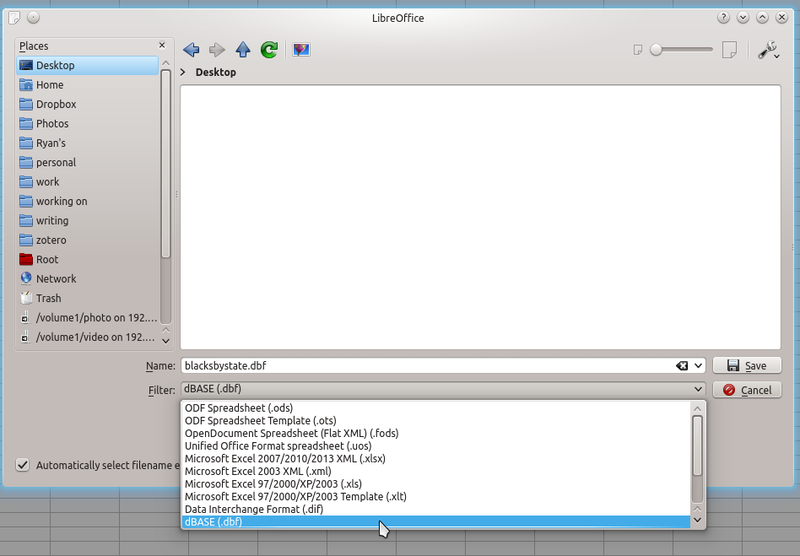 Now, if you’re using LibreOffice, save your data file as a “.dbf” file. 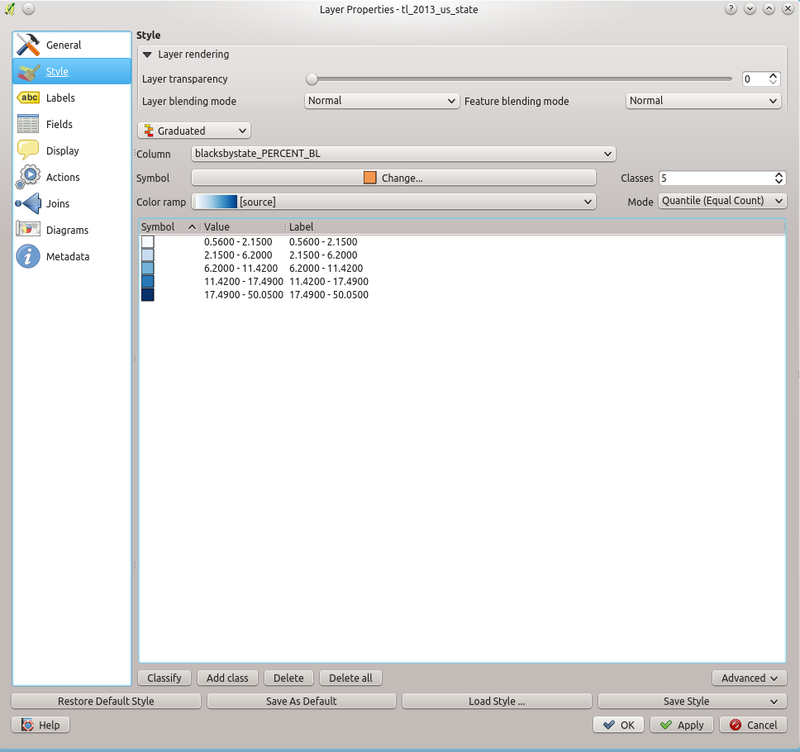 That’s the file format that QGIS reads. 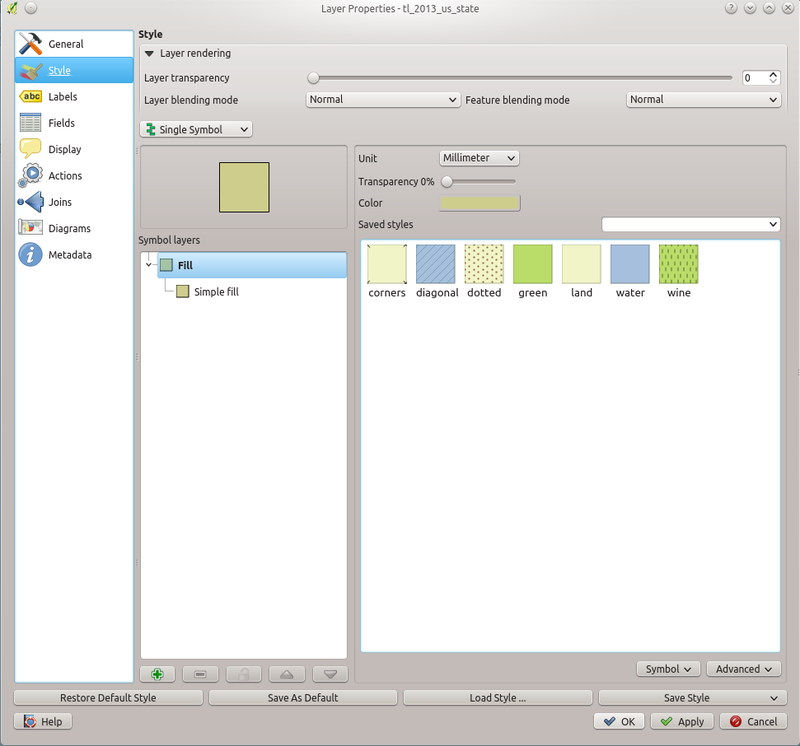 Now you’re going to import your data file into QGIS. 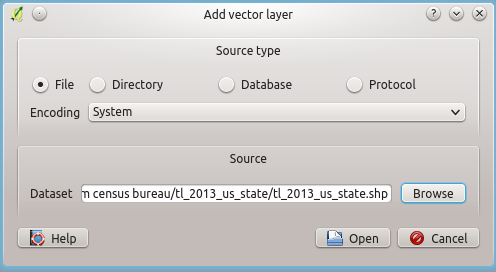 Go back to QGIS and click on the same button you used to add a vector layer. 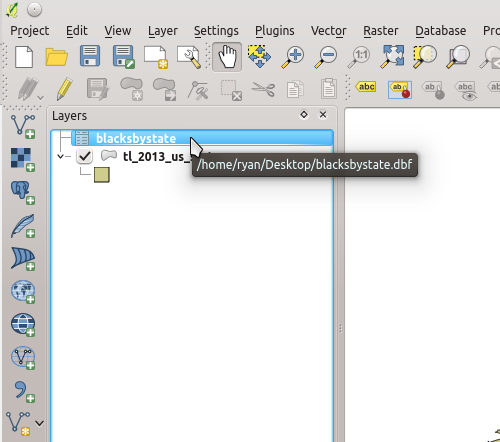 You’ll have to tell QGIS that you want to see “All Files” as it won’t show DBF files by default, but it can import them. 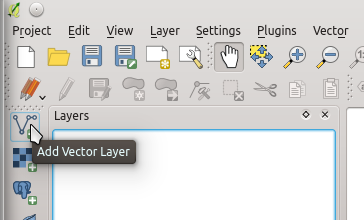 Find your DBF file and select “Open.” You’ll now see it in the list of layers. If your data are in the Attribute Table, you’ve succeeded with the hardest part of this project. Now we just need to display that data on the map. 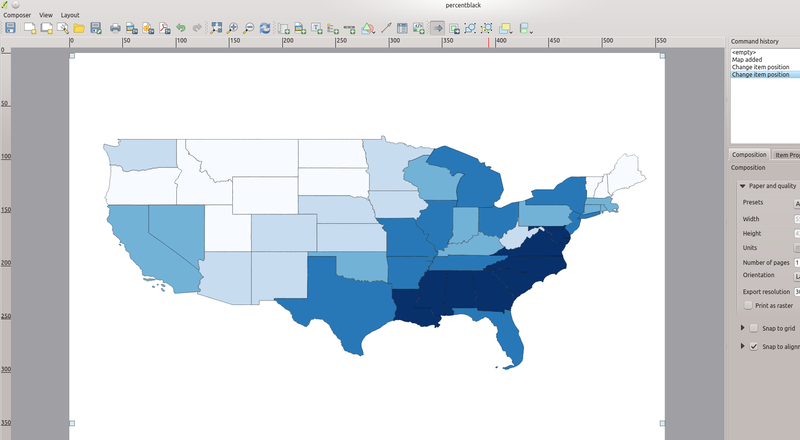 QGIS makes displaying data based on colors very easy. Just below the shapefile you should see a box (it’s called a “group”). That box is basically just a stand in for the current map that is being displayed. At this point, you’ve successfully created your map. In Part 3 below I’ll show you how to prepare your map for exporting to an image file or for printing. The first thing you’ll want to do is set your Composition size. If you’re going to save your map as an SVG file, size won’t really matter. But if you’re saving it as any other image file, you should probably go as big as possible. This is done using the “Composition” tab on the right side of the screen. 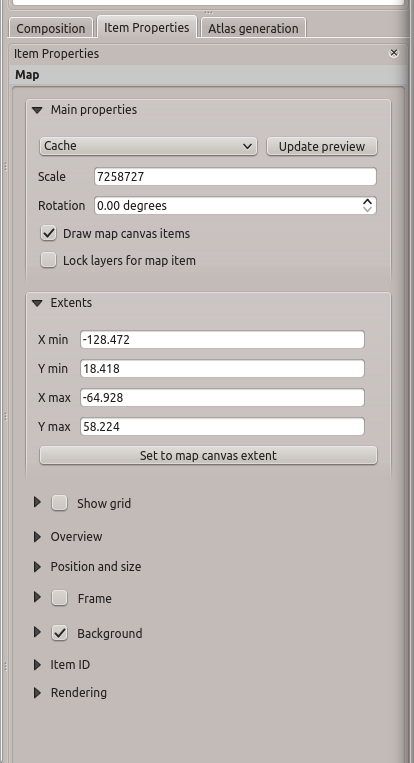 When you click on that button, you’ll then be able to draw a rectangle on your canvas (the white area) that will import onto the canvas whatever is showing in the main QGIS window. So, make sure that whatever you want to import onto your canvas is showing in the other window, then drag your rectangle to import it. We now have the main part of our map. But, in my case, I also want to include Alaska and Hawaii, as well as a legend. 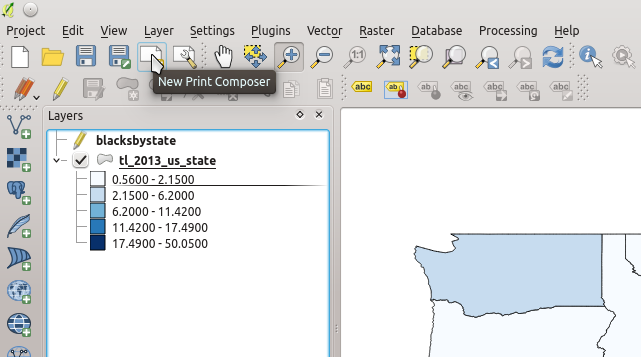 To add Alaska and Hawaii, recenter the primary QGIS window over them one at a time and then import them the same way you imported the continental US. You can adjust the properties of the legend under the “Item Properties” tab on the right of the canvas. Like the other items, you can adjust your title under the “Item Properties” tab until you’re happy with it. Once you’ve got your map how you want it, it’s time to export it. If you aren’t familiar with SVG files, they are really neat. Basically, they can scale to any size without pixelating because of how they are stored (SVG stands for “scalable vector graphics”). That’s probably the ideal format for exporting. But you can also export the map in a variety of other formats. Below is the final map exported as a PNG file. I drew on the following tutorials to create this one. I’d never done anything with GIS before and this was a great introduction, very helpful. Thank you for putting it together!